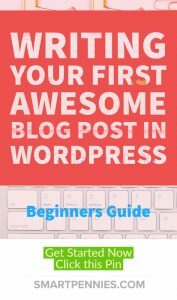 This guide to writing your First awesome post will help you write a great post without feeling overwhelmed and paralysed to start. 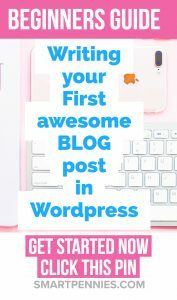 You’ve turned on the computer logged into WordPress done all the things to not look like a newbie blogger. Let’s crack on then, shall we? What you should avoid focusing on for now you just want to get that first post out there! So to quantify things – You should focus on SEO ( Search engine optimization) but not when you are just starting out otherwise you will be totally overwhelmed! 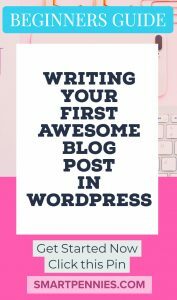 Get your first few posts out then you can go back and optimize things. Install Yoast Seo which will help you optimize things it’s very straightforward to use. 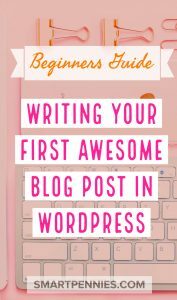 Firstly you need to look at your title I use this website to help decide on a great title and then use kwfinder the free version to help you decide if the keywords you are going to use are worth pursuing and will be found in google search. 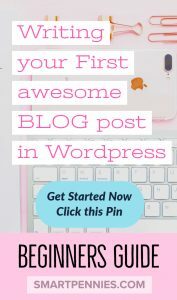 Don’t please spend most of your time trying to make your first post PERFECT! Once you have written it, make sure you spell check it and it is grammatically correct. 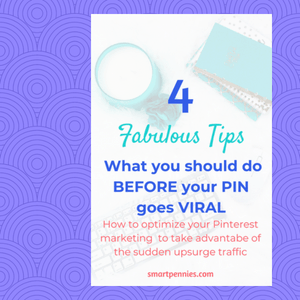 Add some images to make it look pretty and also Pin images if you planning on using Pinterest as your social media traffic generation. then save your draft and move over to visual and you should find that your images are hidden. Make sure you also add information about your Pin description in the Alt text for each image because if people to decide to share any of your Pin images then this is what will appear on your Pin description. Yes, you should do your research on what to write about. Don’t take this to the extreme so that you never get started. 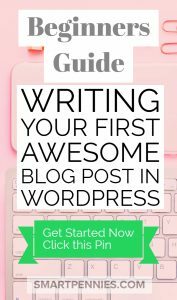 How do you find out what to write about? 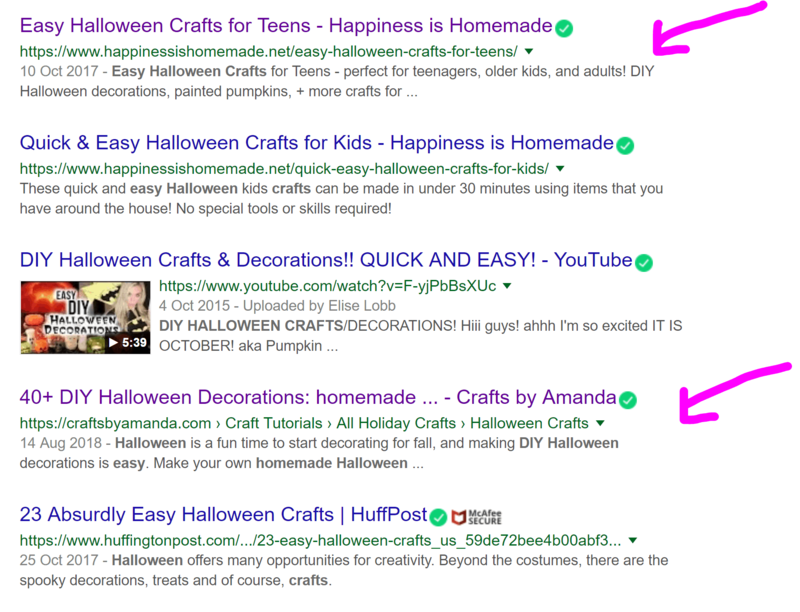 For instance, if you were interested in DIY crafts for Halloween add that to the search bar and look at the top pins on the search along the top row, to begin with then continue down the rows looking at topics you might be interested in writing about. So I pulled out this pin clicked on it when you come to this page you want to click on the three dots top left and you will get the choices below. Then click on Embed. 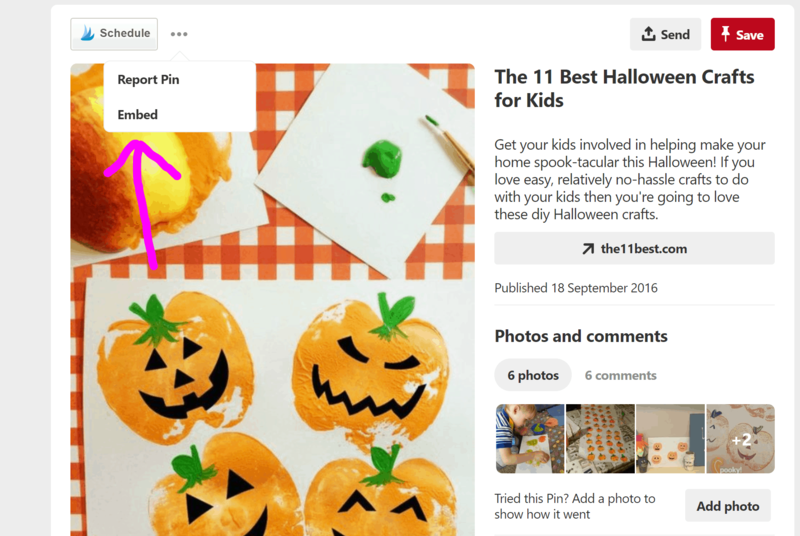 Once you are on Embed ( not all Pins will show up and allow you to Embed their content) we aren’t going to embed pins but it’s a handy way to see the repins so this is a hot topic to write about- 31,000 repins if you can write something similar ( don’t copy) then you will be on a great traffic generating post. If you search via a google you will get this on the first page of google. 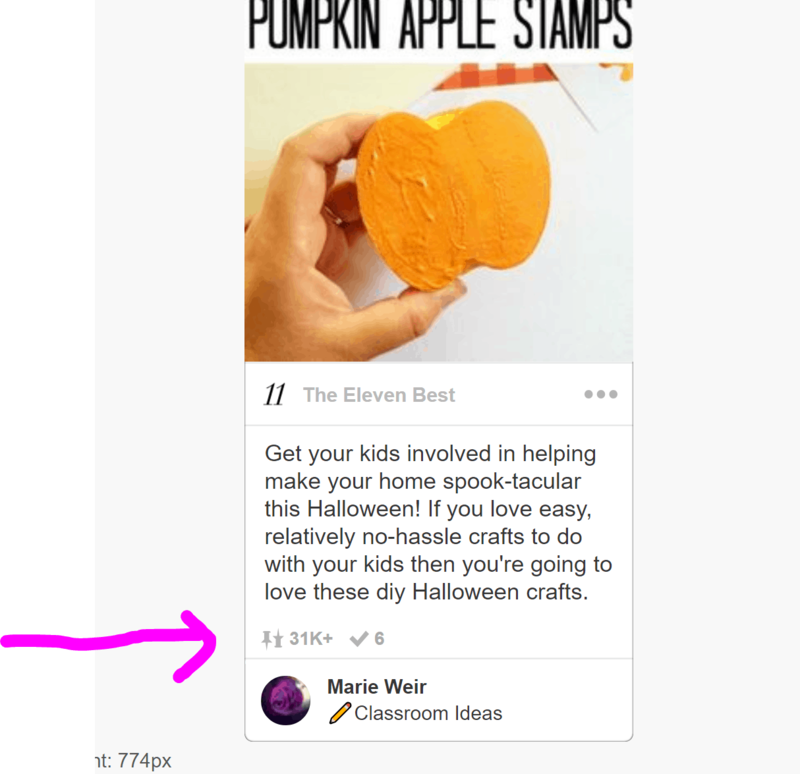 This is another way to find Pins to explore and check to repin counts. You want to check out each page and see if there how many shares each of the posts get. Take note of the titles these websites have used to get to the second page of google you will be wanting to use something similar to get on Google too. So here is another option for a topic to write about. 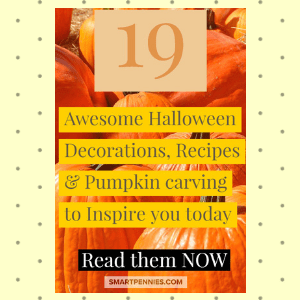 Wondering how it works in practice then check out my own DIY Halloween post and see how many shares it has gotten since I posted it in August. Don’t do this! 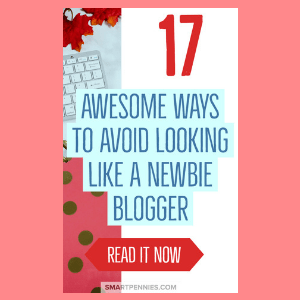 It can also be disheartening to see how other bloggers are getting on. 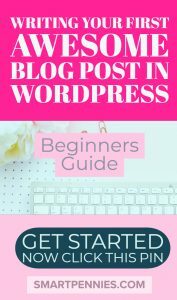 You can not compare other blogs to yours. Yours is unique and will take off in its own time! 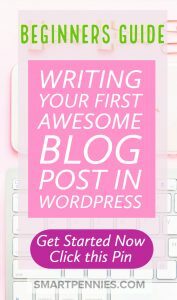 It is good to have a look at other bloggers if you want to say find out what affiliate products they are promoting. I mentioned this further back you want to try and pick a great title with lots of great SEO juice. Use this resource to pick your title. When you are doing your research about which topic to write about then make notes about the notes of which titles are on the first few pages of Google this will help you see which keywords are ‘ making a difference’ look at the small blogs. If you follow these tips above about finding good topics to write about then people should read them. 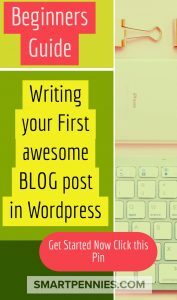 Make sure you write your post without editing it the first time. Once its written leave if for a few days before you edit it so its fresh again to go back and edit it. 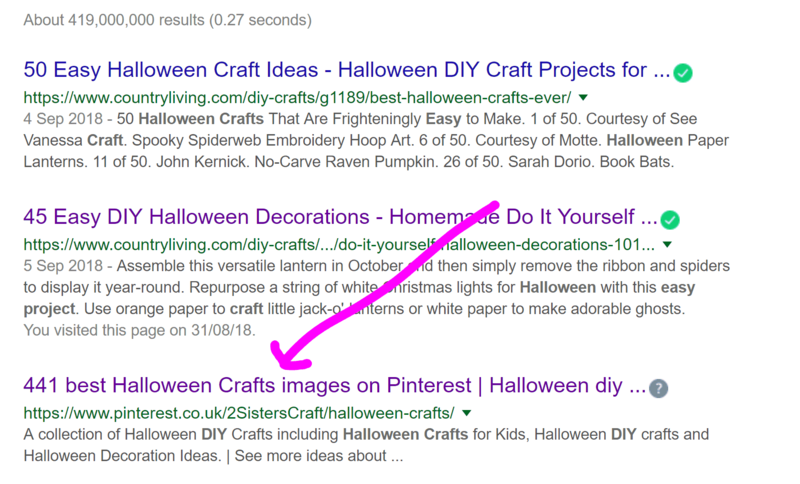 To start your SEO journey, yes I know I said above not to focus on SEO but a little bit using the plugin to guide. 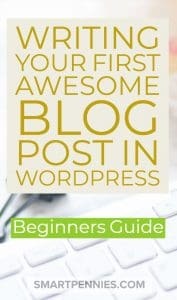 Ok, guys, those four things are what you should concentrate on when you write your first post. And write it you should because it can start you on a great journey to your own profitable business. Remember that if you don’t start you won’t get on that path. If you liked this post please consider sharing it.